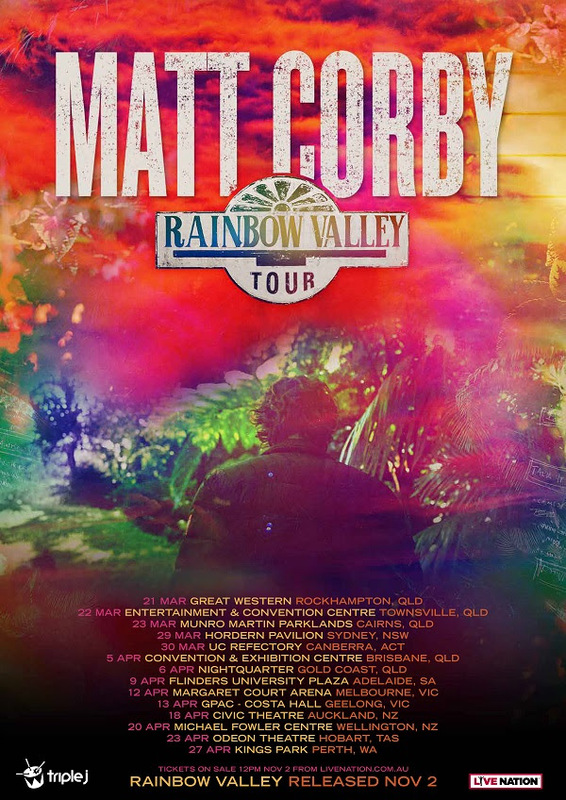 On the week of the release of his triple j feature album of the week, Rainbow Valley,MATT CORBY announces his first headline tour in two years for March and April 2019. Fan pre-sale from 11am, Wednesday October 31 until 11am, Friday November 2. My Live Nation members can secure tickets first during the exclusive pre-sale beginning 11am, Wednesday October 31 until 11am, Friday November 2. The 6-week tour takes in all capital cities but also visits regional areas including Rockhampton, Townsville, Cairns, Canberra, Gold Coast, Geelong, and Hobart. Matt and his band will play songs from the new album to Australian audiences for the first time since his headline Telluric Tour in 2016, which sold 80k tickets worldwide. The upcoming UK and European Rainbow Valley Tour dates set to start in January have already upgraded sold out shows in Oslo and Stockholm, with a second date added at London’s iconic Forum in London. Now we see a new chapter in Corby’s life with the release of his much anticipated second album. 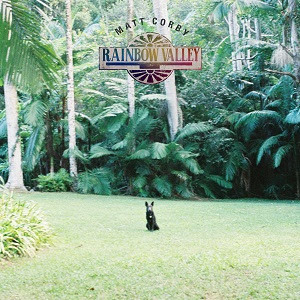 Recorded in the idyllic surroundings of Byron Bay’s Music Farm studios, Rainbow Valley will be released this Friday November 2. Lush, multi-textured and sparked by hints of both old soul and futuristic psychedelia, Rainbow Valley is, in Corby’s words “joyous music”, but it also has the depth and perspective of an artist who understands you can’t just take the good times for granted, you have to earn them. The sparkling first single No Ordinary Life, and the bare-bones ballad All Fired Up and current single All That I See have received widespread acclaim and give fans a taste of what to expect on Corby’s stunning new album. Live Nation pre-sale: 11am, Wednesday October 31 until 11am, Friday November 2.